Subscription customers pay no further costs for baseline support, the service being covered by their annual subscription. CocoNET provides support during business hours. 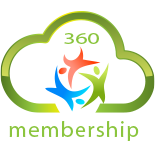 Support requests should be emailed to support department on support@360membership.com.au. We will respond within 24 working hours. New users may call our support line for the first 30 days post go-live. Following this period, if telephone support is still required, the user may enter a formal support agreement. Support telephone number is +612 9427 1885.